SAN DIEGO ( October 19 , 2016 ) Today, CONNECT , a premier innovation company accelerator in San Diego that creates and scales great companies in the technology and life sciences sectors, announced the 30 finalists for the 29 th annual Most Innovative New Product Awards. The prestigious awards ceremony is a CONNECT signature event, held annually in December, that honors San Diego’s stars of innovation along with their newly launched groundbreaking products. 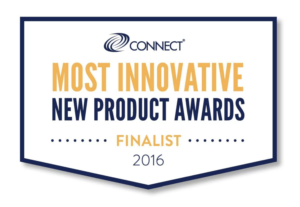 NanoCellect’s team is hugely proud of being selected as a finalist and reflects the work and innovation we have dedicated to producing the WOLF Cell Sorter.